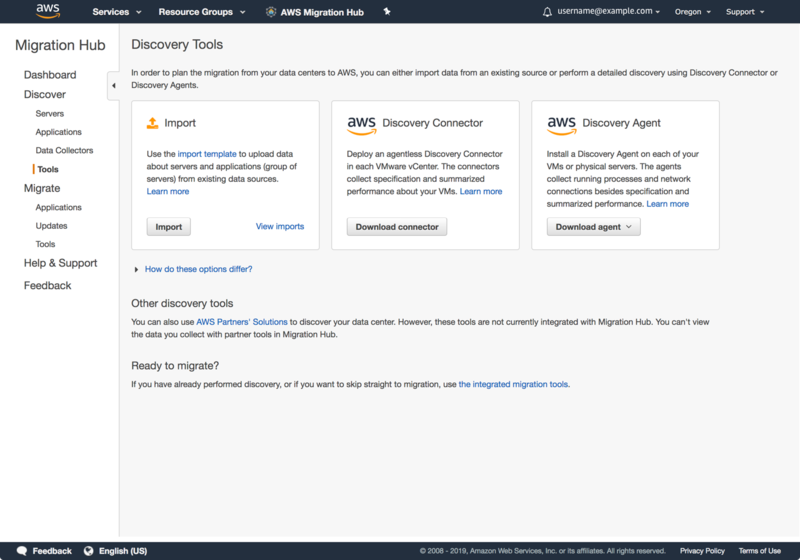 AWS Migration Hub import allows you to import information about their on-premises servers and applications into the Migration Hub so you can track the status of application migrations. To import your data, you can download and populate the import CSV template and then upload it using the Migration Hub import console. 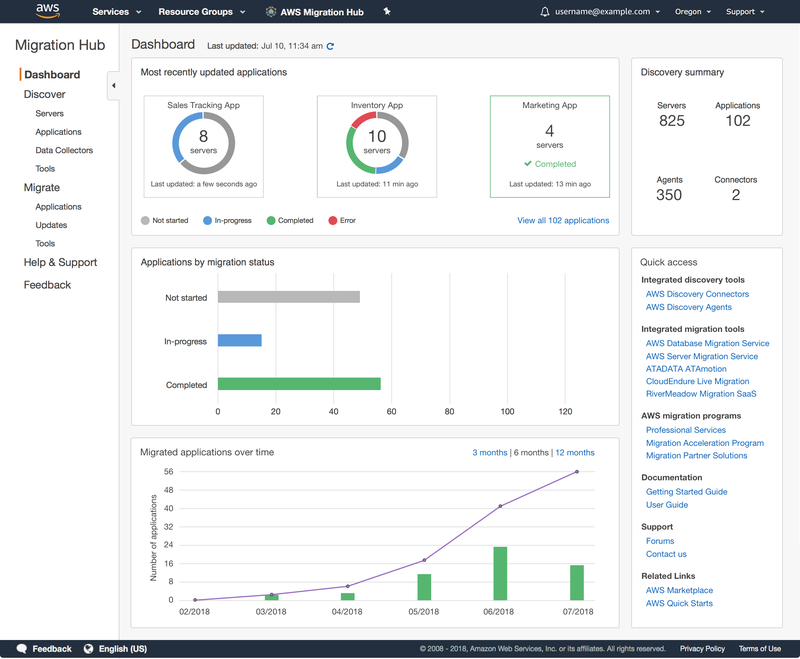 The AWS Migration Hub dashboard shows the latest status and metrics for your entire migration portfolio. This allows you to quickly understand the progress of your migrations, as well as identify and troubleshoot any issues that arise. AWS Migration Hub provides all application details in a central location. This allows you to track the status of all the moving parts across all migrations, making it easier to view overall migration progress and reducing the time spent determining current status and next steps. AWS Migration Hub provides the flexibility to use the migration tools that work best for your organization. 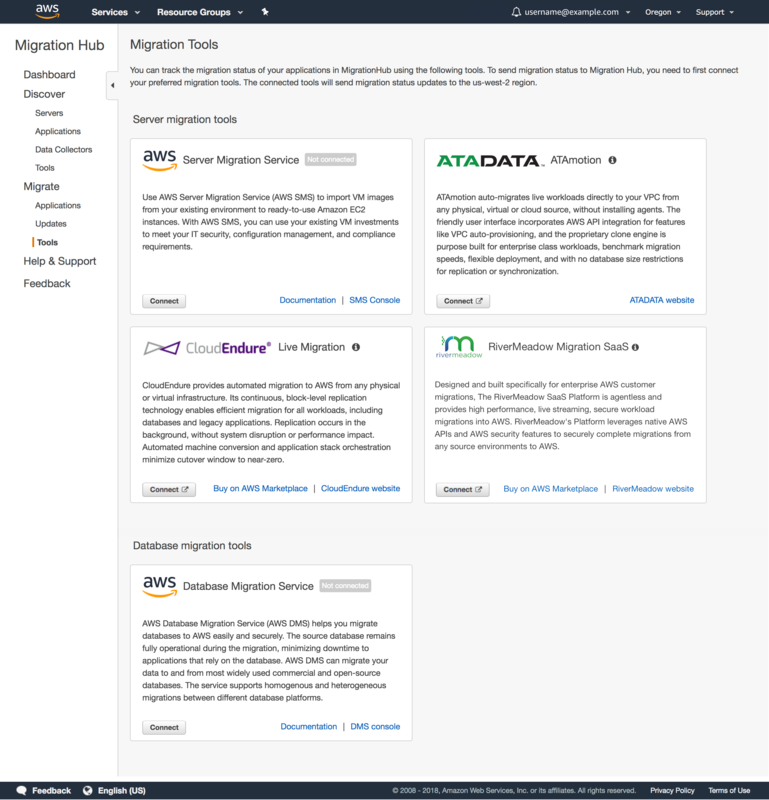 Whether you use AWS migration tools like AWS Server Migration Service, AWS Database Migration Service, or partner tools like ATADATA, CloudEndure, and RiverMeadow Migration Hub makes it easy for you to track migrations from all of those tools in a central location. 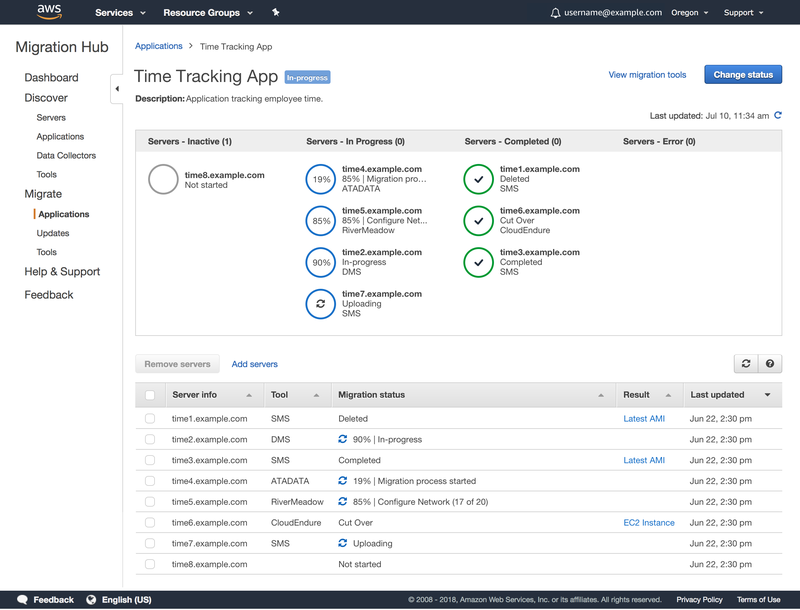 AWS Migration Hub lets you track the status of your migrations into any AWS region supported by your migration tools. Regardless of which regions you migrate into, the migration status will appear in Migration Hub when using an integrated tool.